This is the question I heard over and over when I told my friends and family that I was traveling to the “Land of Smiles” this past winter. While my answer never seemed to make sense at the time, I can certainly tell you why I chose Thailand now that I am home. First, I must say that I went to Thailand through EF College Break for two weeks. I was in a group of 40 and the only person I knew before the trip was my boyfriend, Zach, who came with me. We paid a price and they had everything planned out for us already including several meals, hotels, transportation, plenty attractions, etc. It was so nice to not have to stress about the planning aspect and I would definitely go through them again. We flew into Bangkok, met our tour guide and travel group, and tried to sleep to beat the 11 hour time difference from home. To begin our journey, we went to a Thai home where we tasted raw sugar and saw squirrels doing back flips. We met the Thai family who lived there and were treated with the utmost kindness and respect. The first of many encounters we would have with this kind of treatment from the Thai culture. 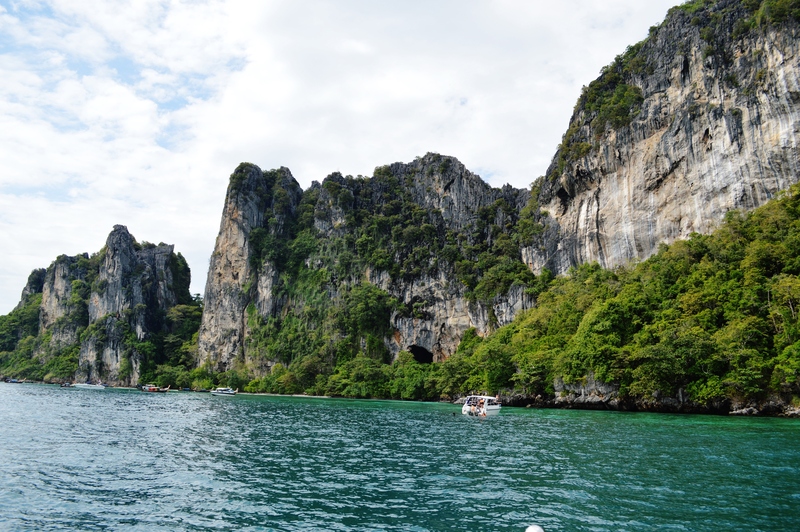 Later that day we went on a speedboat ride down the river, which was definitely one of my favorite parts of the trip. Water splashed around us and we saw a ton of tiny homes and temples. 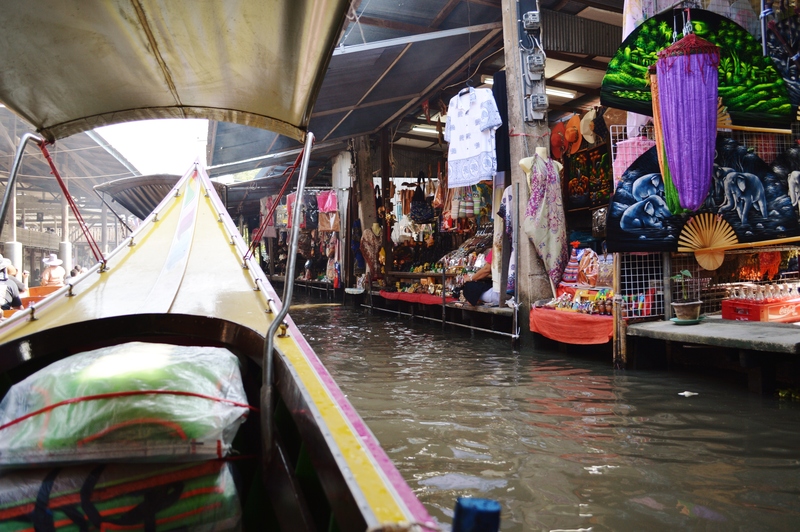 We drove through a floating market and stopped to shop for a while which introduced us to our very first market. When in Thailand, go to the markets. 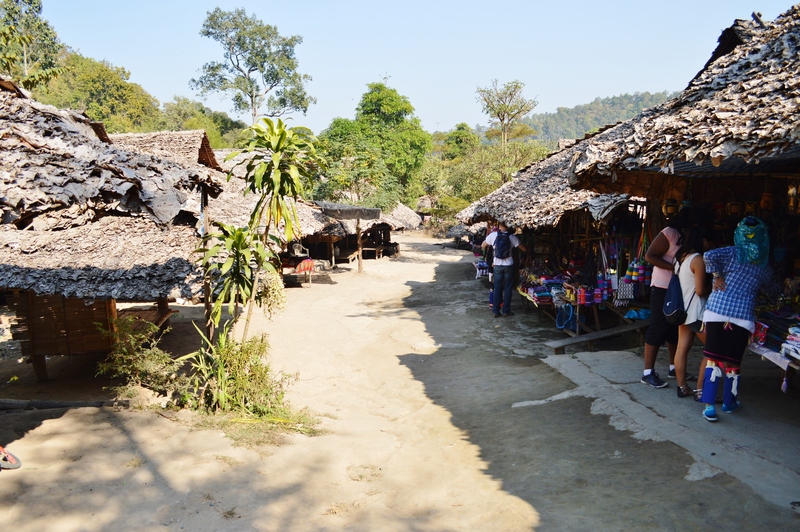 You learn to barter and it was one of my favorite experiences of the trip (and I don’t even go shopping that much you guys). Something you must do if you ever go to Thailand, is get a massage. My boyfriend and I got an hour body massage for $8 each. It’s insanely cheap and feels really really good. They have shops everywhere so it’s not hard to find a place. Just walking the streets gives you plenty of opportunities to dive into the culture. While in Bangkok, we also took a tour of the river that runs through the city. 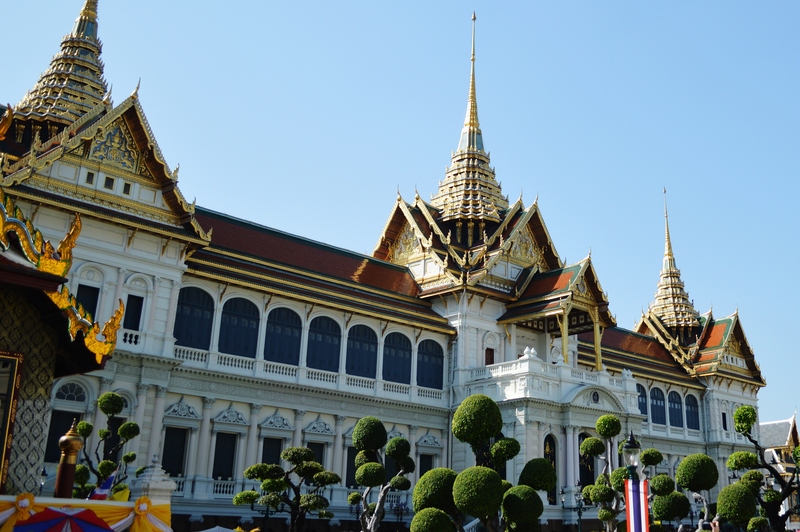 We saw a few beautiful temples as well as the Grand Palace which is one of the most gorgeous and detailed pieces of work I have ever seen. 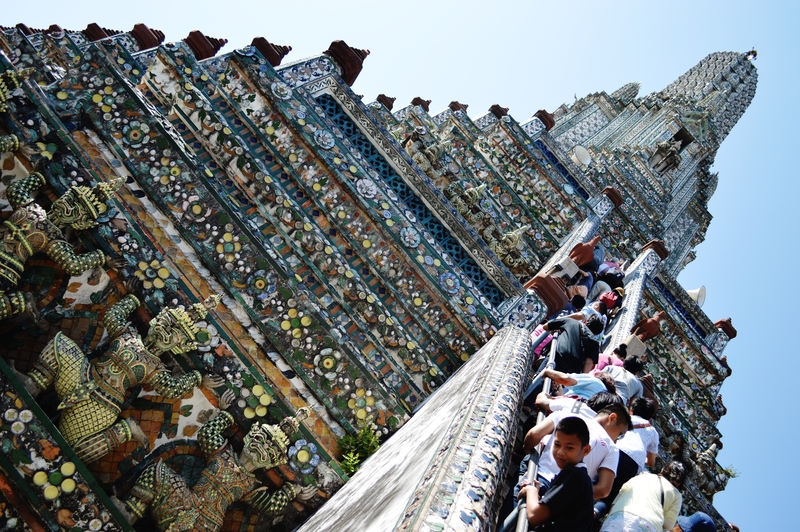 The intricacy of their architecture doesn’t fail to make you gasp every time you see a temple. There were quite a few crowds but you eventually learn to push and shove your way through if needed. Our tour guide always took good care of us. We traveled to Phitsanulok on our way to Chiang Mai. On our way there, we stopped at one of my favorite places of the whole trip. Temple ruins. There was an incredibly sad story behind the ruins and it shocked us all. How can something so disastrous like a fire or flood lead to such beauty? I will let the pictures speak for themselves. Chiang Mai was a huge adventure. We visited the biggest night market in the city called Night Bazaar which had the coolest trinkets and gifts. We saw everything from insanely inappropriate bracelets to hand carved soap beauties that were made right in front of us.We went to another temple on top of a mountain by way of taxi pick up trucks. That was a great adventure. To think that it was completely normal to ride on a bench in the back of a pick up truck was so different than anything I’ve ever done. 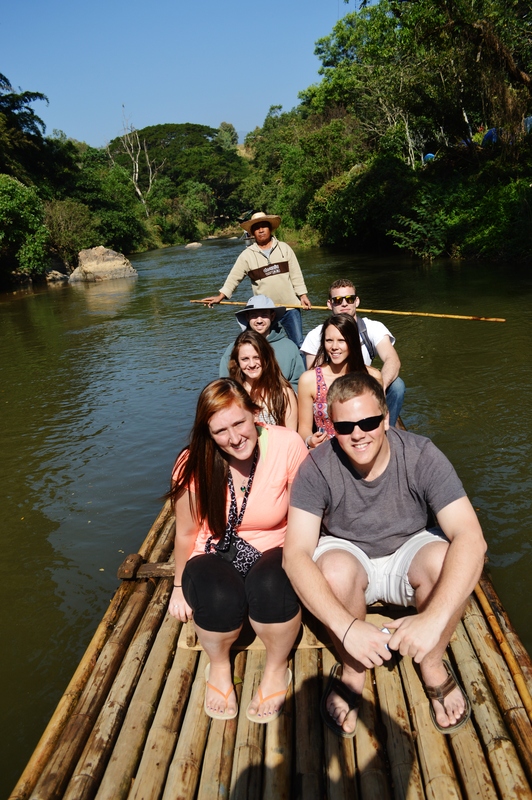 We rode elephants and had the chance to pet a tiger.We also went on a bamboo raft ride down the river to see a Thai tribe. That little tribe was a really great cultural experience. 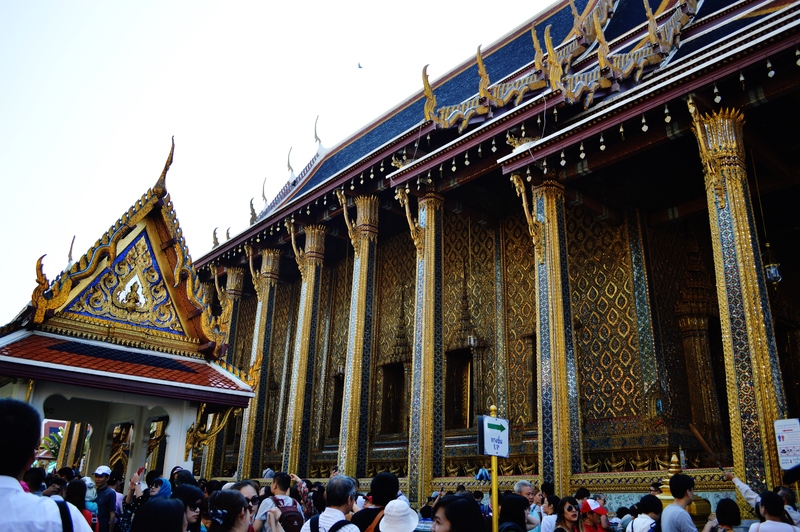 It was such a versatile city and definitely more modernized than Bangkok. 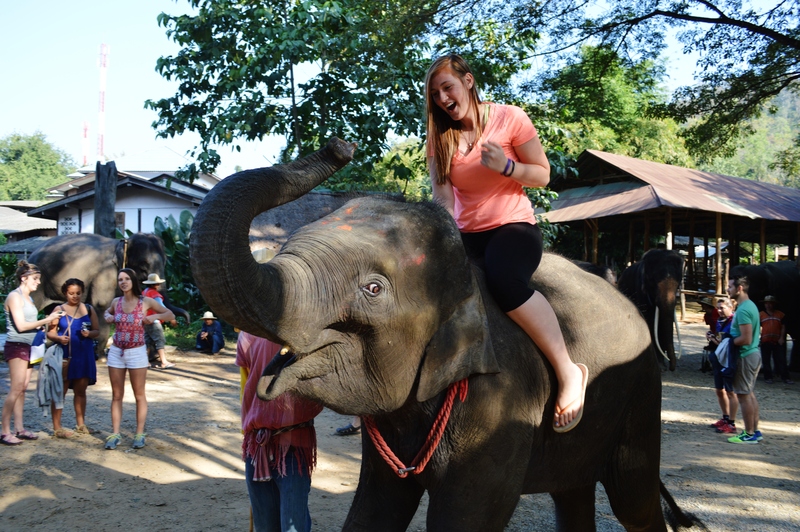 I must say, riding elephants was the chance of a lifetime but I won’t do it again. After we were on the giant mammal, our guide would hit him if he wasn’t going fast enough and it was a horrible feeling to be a part of that. I felt so guilty. After the ride, we had the chance to have elephants do tricks with us in which the owners weren’t hurting the elephants at all. This was really neat to be a part of. They lifted us up in the air with their trunks and shoveled sugar cane and bananas into their mouths as treats. Then they put on an elephant show to show off their impressively intelligent minds. They painted pictures, gave massages and even played soccer. 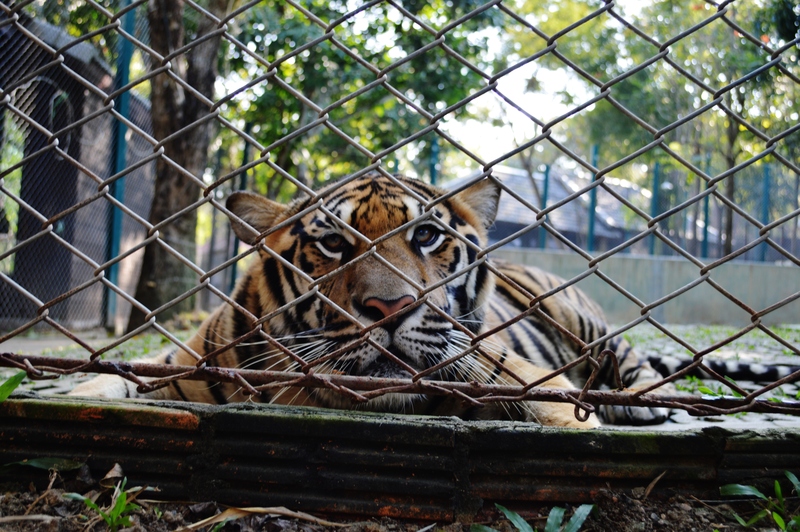 As for the tigers, some of them were so visibly drugged up I couldn’t bring myself to get in the cage with them. But some people on the trip really enjoyed petting the tigers. It’s all about what you know and what you believe. This place was paradise. 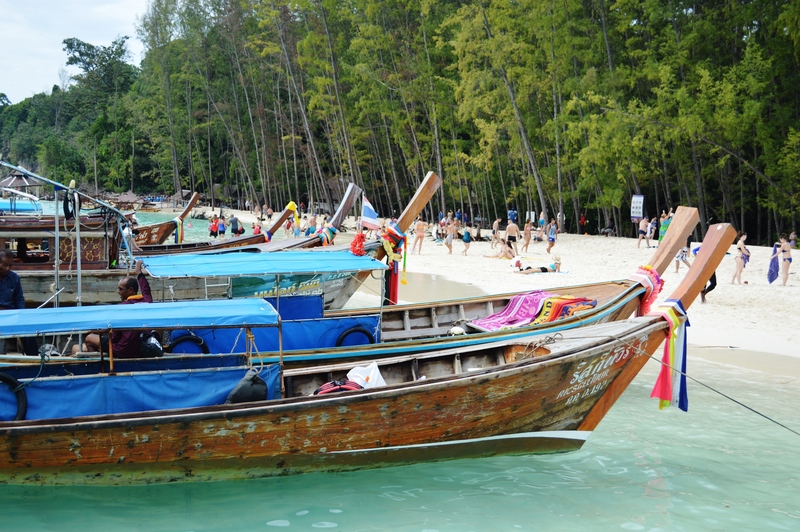 If you go to Phuket, please go to Phi Phi Islands and to islands around there. That was the best part of Phuket. We stayed in Patong Beach and it was so humid so when you got to the beach, the ocean breeze felt like a slice of heaven. The beaches are very pretty, but once you see the the islands that are a boat ride away, it will outrank every other beach you have ever seen. 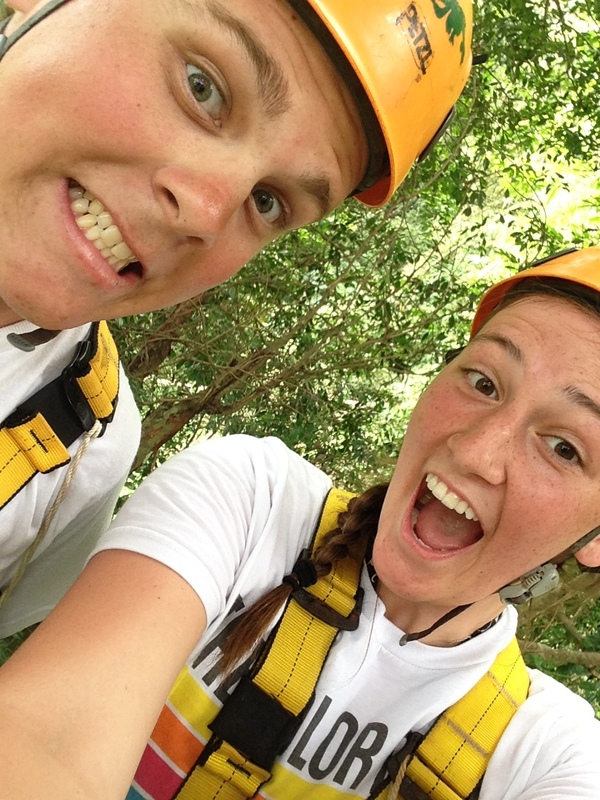 We had a few free days and went ziplining, beaching and island hopping. Phuket was an incredible place to stay and the pictures can’t do it justice. Was that enough to convince you why? If not, here is a summary of how I felt. Thailand itself was beautiful and so were the people. Thai people are so kind everywhere you go and almost all of them can speak English. It actually makes you feel stupid if you don’t speak another language fluently. 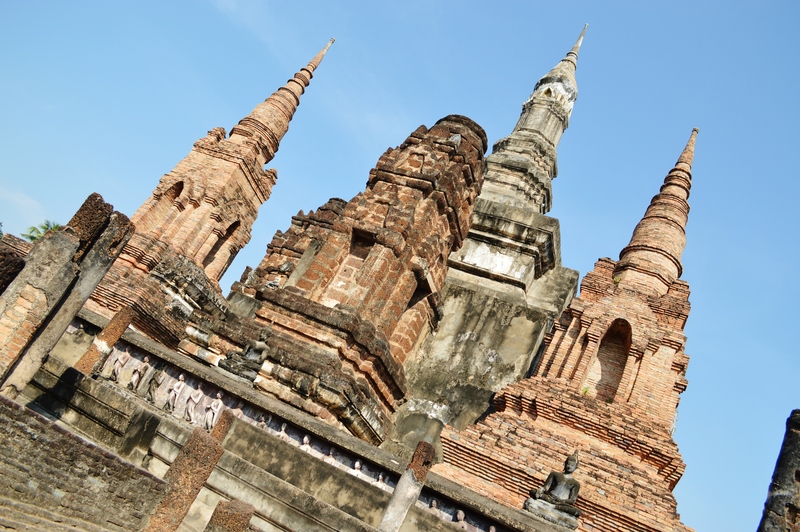 The Thai culture is something that is indescribable unless you have experienced their genuine nature. Here are somethings I haven’t mentioned that just add to the trip overall. Traffic is insane. There are almost no rules. You run a lot of red lights, people drive the wrong way on the shoulders and you see multiple people riding in the bed of a truck. It was exciting and scary all wrapped into one. Pedestrians don’t have a right of way, you stick your hand out and start walking in the middle of the road to get someone to stop. It’s a lot different from home but a really cool experience. Stray dogs are everywhere and it will make you sad. Thai people see them as pests and we saw some dogs get rocks thrown at them. The dogs themselves didn’t give us any problems and some of them were so gentle and kind. Buy them crackers and love them up if they don’t seem disease ridden. Everything is super cheap, which makes you buy everything. It is about 32 Baht to $1. You can get a T-Shirt for $3 and I got plenty of cultural souvenirs. Be open to experiencing anything. We went to a monk chat that I wasn’t expecting to be high on my list of favorite things I did, but it was. I learned so much about Buddhism and why they live the way they do and it truly opened my eyes to why their culture is so friendly and giving. Take opportunities and run with them. This is definitely a really short synopsis of my trip, so feel free to message/comment with any further questions you may have. 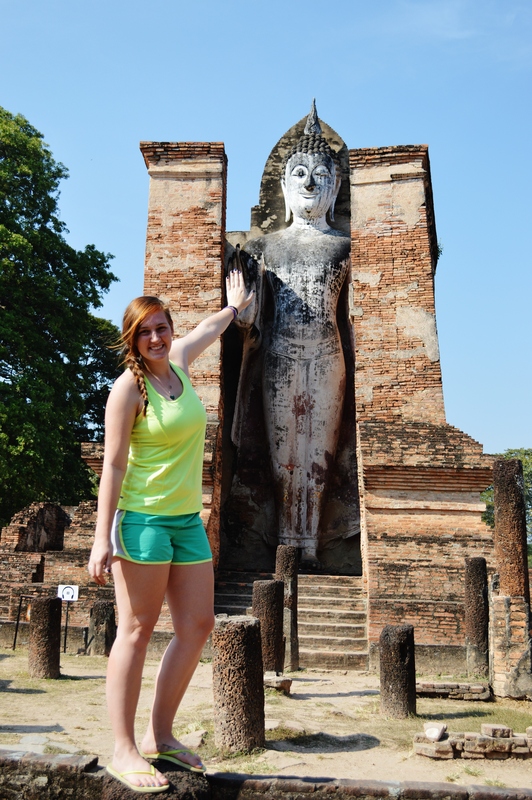 I have a special place in my heart for Thailand and will always treasures the memories I made there. heard this questions many times too, haha 😉 didn’t feel like explaining tho, cos it was my best year in my life ! I’m sure all avid lovers of Thailand have heard this question! It’s like we have a hidden secret. Now you can just share this post with them! 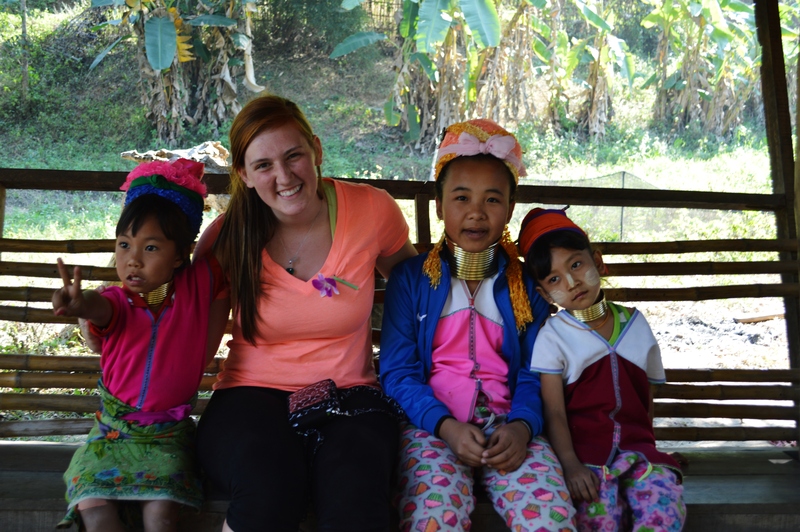 It’s crazy to think how just two weeks changed me from being in Thailand. A year must have been a wonderful experience! 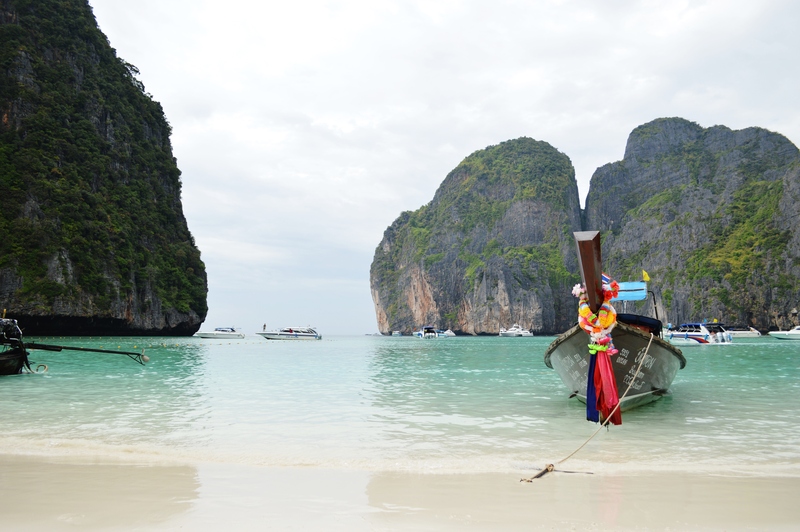 Wow, Thailand sounds amazing and your photos are stunning! I’ve traveled with EF before and loved it, so I was looking into going on another trip in the coming years- you may have just convinced me! lol but I need to ask, because I know my sister has a thing for tigers… Is the place where you pet the tigers at the same place where you play with the elephants, like is it included? Thank you so much Kelsey! What trip did you go on? I’m hoping to go with them again as well because it’s so nice to have all of the details taken care of. 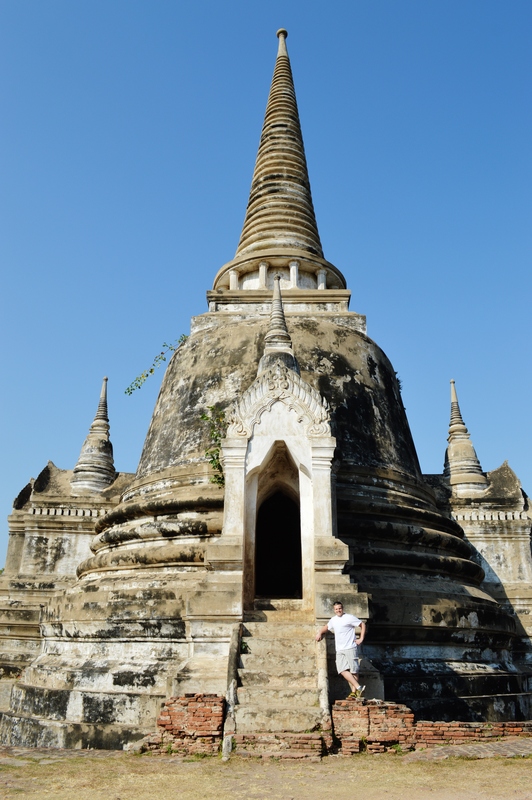 I’m glad I could help sway you, honestly Thailand is just insanely gorgeous- you would have a blast. The elephant sanctuary is separate from the Tiger Sanctuary but we went there the same day and the tickets and transportation is included in your trip. However, to actually get in the cage with the Tiger and take pictures you have to pay and I believe it was about 550-1000 Baht which is about $17-$30 dollars depending on which package you choose for the tigers. 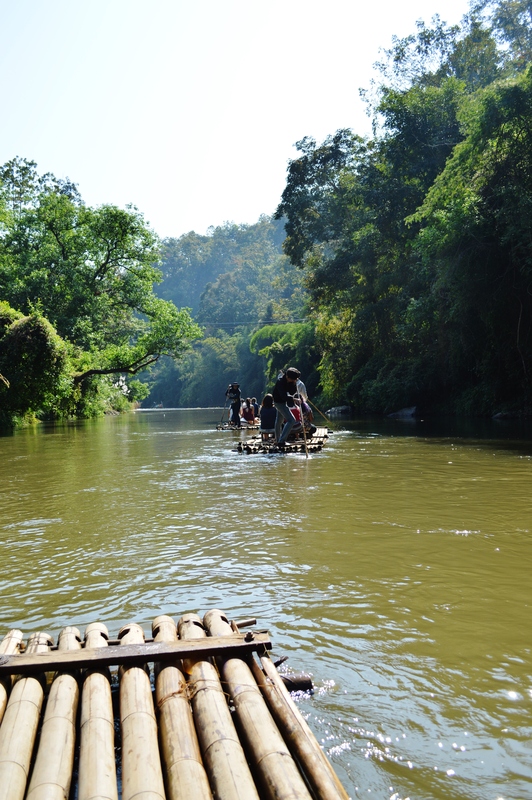 For the elephants, the rides, show, elephants picking us up and everything was included. The only extra cost was optional and it was to buy sugar cane and bananas for them which was only $1 which is well worth it. If you have any other questions I would be more than willing to answer them! Hope this helps! That’s wonderful, I hope to make it over there! And no problem! I hope you’re able to convince your sister to go, tell her she won’t regret it! Thailand sounds like paradise. 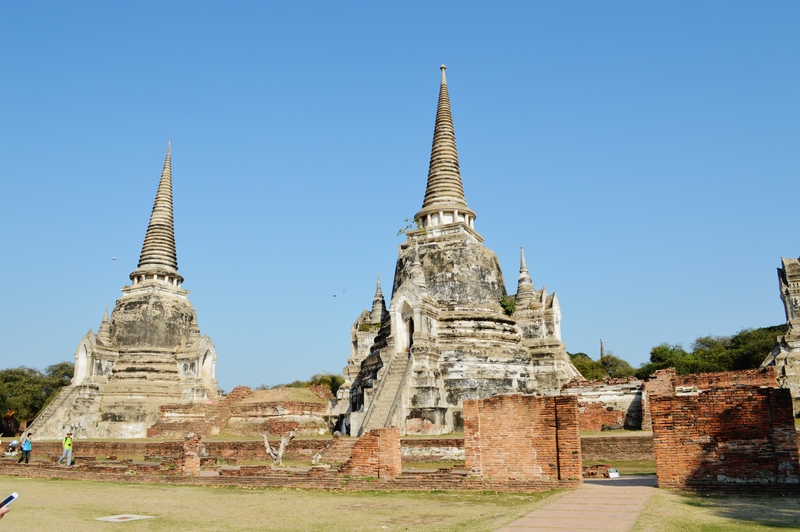 Right now I am trying to decide where to study abroad next year and had Thailand on my list. My sister sent me your article and told me I had to read it; and that this was why Thailand would be awesome (as you can see she is definitely voting for this country). You have shed a completely new light on Thailand for me and have moved it up to the top of my list. Thank you so much for sharing your experience! hello! i’m looking in to EF’s thailand trip in december. I’m just trying to make sure i can budget enough spending money on top of the trip because i’m going on their 25 day Europe trip next month which is running me a little tight! May I ask about how much you spent on the trip during those two weeks? I was thinking about budgeting 500-700 dollars. Does that seem like too little or maybe more than enough? Also, did you feel safe all the time? My parents are a little hesitant because of safety. Hey Emily! I am excited to hear you are looking into it! During the two weeks, I would say I spent about $400. The extra excursions I bought were zip-lining, island day cruise, two massages, a few taxi rides, lots of souvenirs, food for the days we didn’t have included meals and that’s including the ATM fees. I was very frugal and conscious of where the money was going. I would say other people spent about $500 so that would be a good budget for you! Of course, there is so much included in this trip that the big stuff you’ll be spending your money on while you’re there is any extra excursions you would like to do and food. Some people went para-sailing and ATV-ing which was a lot more expensive… it’s all what you like to do. Everything is a lot cheaper than you expect. I would say $500 would be a very reasonable amount. It’s better to bring too much money than to not bring enough. I know that Thailand is a third world country but I felt VERY safe the entire time. Honestly, I felt safer there than in some areas around where I live. Everyone is very friendly and as long as you are aware of your surroundings and take tips from your tour guide about certain areas, you’ll be safe. I didn’t go out to clubs at night so I couldn’t tell you about that scene, but usually you’re in touristy areas and the people there will be very kind to you. Just watch out for cons/pick-pocketers because they can be sneaky! I didn’t have a problem with them. Hope this helps! Feel free to ask any further questions! 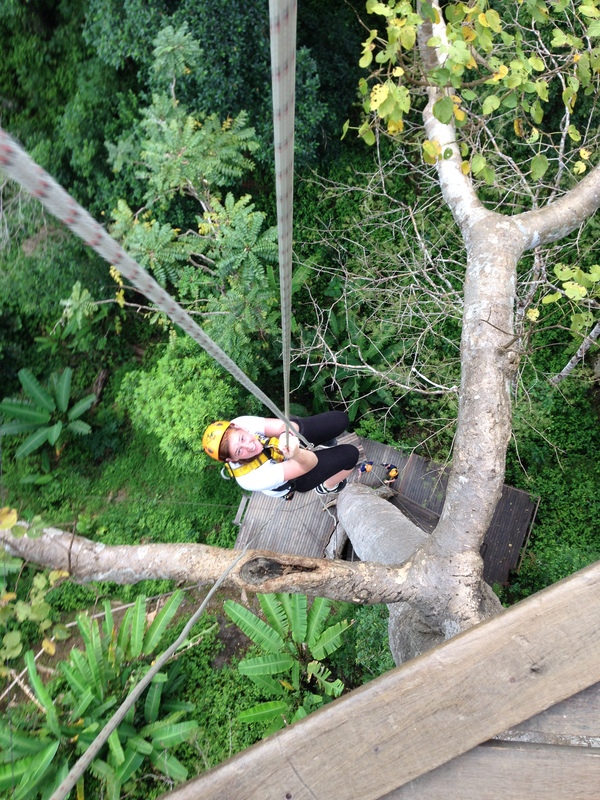 Do you remember how much the ziplining cost? And did you book it before you went on the trip or did you just do it as a spontaneous free time thing? I did it spontaneously! l signed up the day of and it cost about $100. Was it through Viator? I’m going with my best friend and was thinking about doing it! Did anyone on your trip do a kayak/canoe thing through lagoons and caves? I’ve heard you can do that too. 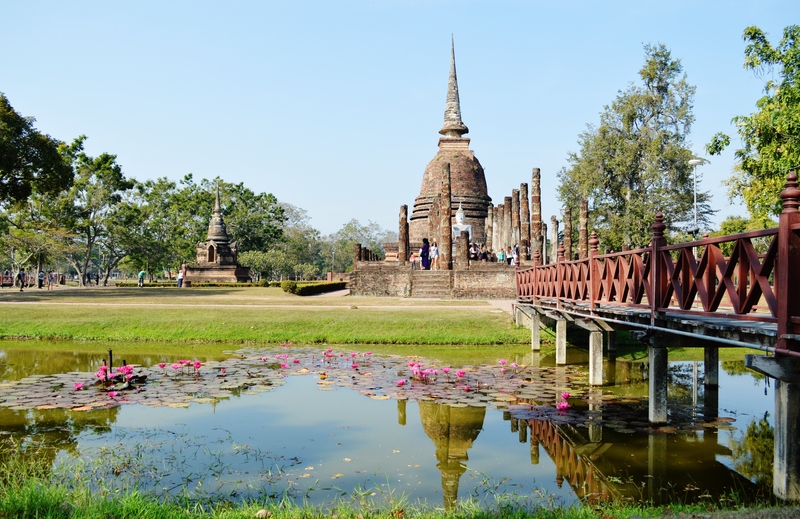 Did you get any free time in Bangkok and Chiang Mai? Bangkok we didn’t get much free time at all to explore. We had maybe a few hours one day but if you don’t want to do an excursion you could take the whole day. (I recommend doing the excursions though, you paid for them). Chiang Mai we had a free night where we went to Night Bazaar which is a huge market. GO THERE. It was really neat. Some people did go four wheeling there on their free time as well. Ok, one last thing! Would you recommend the optional excursions? Like the home cooked dinner and night market ride? They seem kinda over priced so idk if it’s worth signing up for those. Did you do them? Emily, I didn’t do any of the optional excursions and I don’t feel like I missed out on anything. There are over priced in my opinion BUT I know that people who did the home cooked meal said it was cool. The night ride I wouldn’t say is worth it to me… just because you can get to the market anyways and if you want you can go on a tuk tuk ride when it suits you better. Hopefully that helps! I have a couple of questis.I wondering; How were the hotels you stayed in? For Thiland, Would you need to bring adapters? And what are the essentials for that Specific trip? That you would recommend we should bring. And sorry I don’t have a lot of questions for the actual trip. I’ve read the comments before me so you pretty much covered every other question I might have had. I’m glad you had so much fun! I too voiced that I wanted to go to Thiland and I get, What is there in Thiland? Can you believe that!!? And if I don’t go this year I would have to wait till 2017 to actually go. So I think I’m signing up for Thiland! The hotels were booked by the company I went through but they were ALL very nice and clean. I never had any problems with anywhere I stayed and they were all in great locations as well! I did bring adapters but you actually don’t need them! Thailand has a certain type of plugin that works for both asia and the US! At least, that’s how it was in all of the places I went. I did bring one because sometimes there would only be one or two US outlets so maybe just in case you have a few roommates… The essentials for Thailand. Let’s see… swimsuit for sure. Really light clothing because it is HOT there! Try not to over pack if you are moving from city to city. I saw many fellow travelers lugging two suitcases around and I was so happy I fit everything into a carry on and a back pack. Trust me, it’ll help you out a ton and you CAN rewear clothes! Make sure you do bring something that covers your knees (maxi skirt/jeans without holes) and a shawl or cardigan if you plan on going to any temples. It is customary for women to have their knees and sometimes shoulders covered. That’s the most important items. No worries! I am happy to help you out in any way possible. 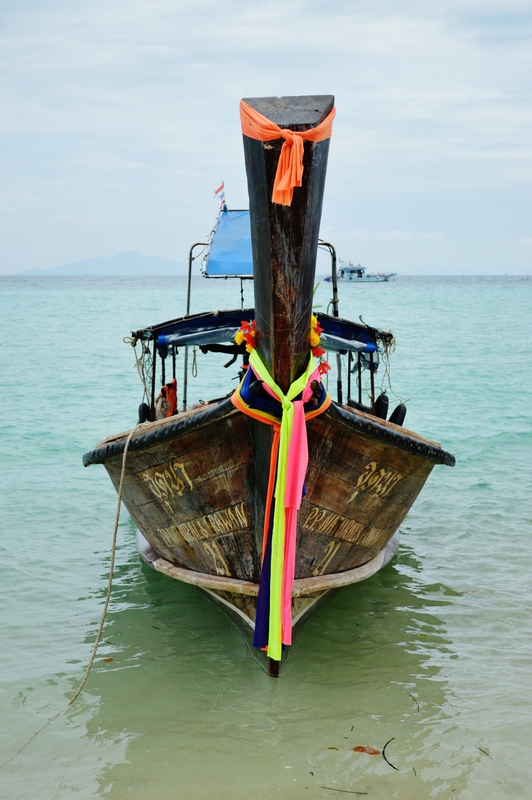 Trust me, you’re going to absolutely fall in love with Thailand. It’s insane how little people know about the beautiful culture they have but once you post pictures and show everyone, they’ll understand. I truly hope you have safe travels and am so excited for your adventure! If you have any other questions, let me know! HI! I am planning on going to the same exact trip through EF as well. Did you see anyone on the trip who went by themselves? Was anyone on your trip a college graduate or young professional (age 23-28)? If so how well did they fit in the group? I’m thinking of doing this trip but didn’t get the chance to do it as an undergrad. Any case this trip does look quite awesome from your pics! yes they were! There were plenty so the whole group meshed very well! and thank you- it was so incredible! I would recommend it. I’m thinking about going on this trip with EF. I’m 21 and I’m graduating a semester early and want to go over the winter time, aka right after graduation. I’ve always wanted to go to Thailand but I have so so many questions for you! Hey Maggie! Sorry this is so late BUT I hope you made the decision to go! 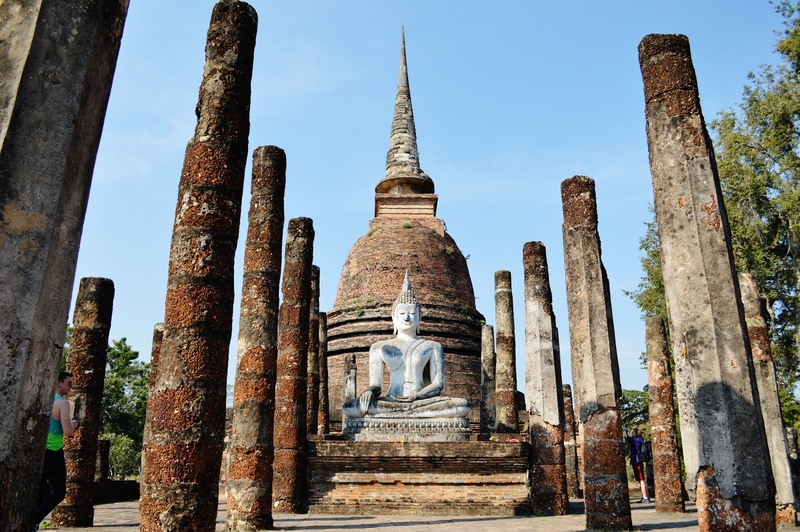 Thailand is absolutely wonderful and should definitely be on your list of places to explore. I absolutely loved it.